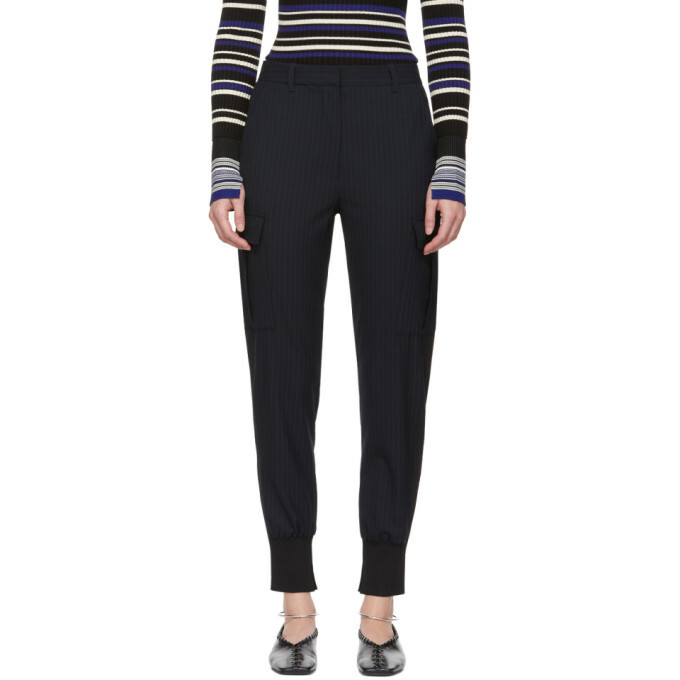 Tapered stretch viscose blend trousers in navy featuring white and blue pinstripes throughout. Mid rise. Five pocket styling. Black rib knit trim at outseams and vented cuffs. Zip fly. Tonal stitching.